Bruce Arena sheds insight on the three dual-nationals who could become cap-tied to the USA in the Gold Cup. U.S. men’s national team coach Bruce Arena spoke to SI.com and Fox Sports TV on Wednesday about some of the decisions he made on the 40-man preliminary Gold Cup roster. Three intriguing players who were on the list are dual citizens Dom Dwyer, Jesse González and Kenny Saief. Dwyer is already cleared to be called in, while Arena said González and Saief still need to be cleared by FIFA for a one-time switch after playing for Mexico and Israel, respectively, at the youth level. U.S. Soccer says Saief has started the paperwork with FIFA to switch to the U.S., and González’s agent, Spencer Wadsworth, told SI.com he has the required signed letter from González expressing his desire to switch to the Stars and Stripes from Mexico and is in the process of sending it to U.S. Soccer. According to FIFA rules, players who are approved for a one-time switch are then tied immediately to their new country. They do not have to play in an official game for their new country to be cap-tied. So if FIFA approves one-time switches for Saief and González, they will immediately be cap-tied to the United States. Arena said also not to make too much of the omissions of Sacha Kljestan and Benny Feilhaber from the Gold Cup list. He said he wants to look at younger players and could call up Kljestan and Feilhaber for the World Cup qualifiers in September. 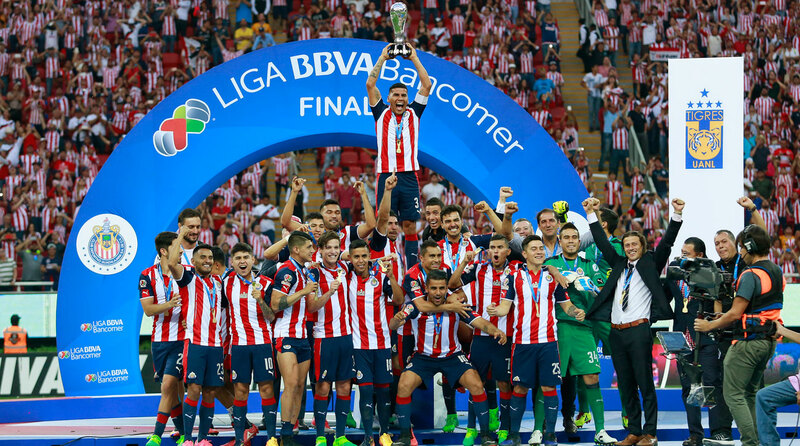 MLS and Mexico’s Liga MX are nearing an announcement of new competitive games against each other, multiple sources tell SI.com and Fox Sports TV. One new annual tournament would involve potentially four teams from each league in a competition that would be like the Superliga tournament that took place between the two leagues a decade ago. Another new annual game that’s set to be announced is a showdown between the MLS Cup champion and a Liga MX champion. Sources say there’s a small chance these games could start later this year, but it’s much more likely that they’ll begin in 2018. The original Superliga was created in 2007 and lasted until 2010, with Mexican teams winning the eight-team competition three of the four times.